Our aim is that children leave The Weald confident in their ability to handle numbers both mentally and using written methods. Daily maths lessons also ensure that they know of a range of mathematical facts in line with National Curriculum expectations. Children will demonstrate their growing mathematical skills by adapting and applying their knowledge and understanding to solve problems in a wide range of contexts, both in maths lessons and, where appropriate, in other areas of the curriculum. The school’s commitment to active learning is evident in maths lessons where we promote talk for learning, group activities and the use of quality resources to support and develop understanding. 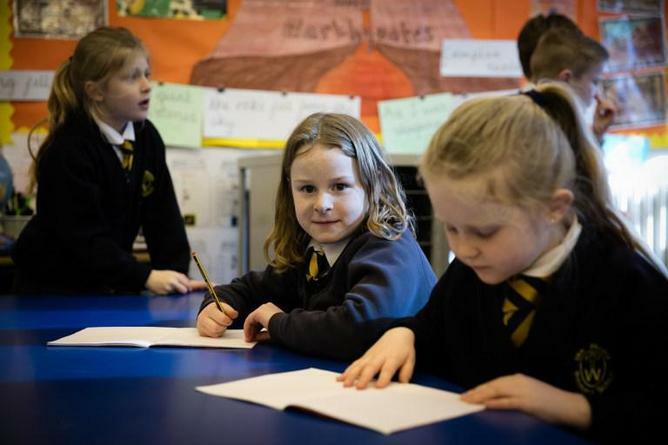 Planning at The Weald follows a mastery approach, allowing time for children to become fluent with new skills, then to reason about them and apply them to solve problems. Children with gaps in their knowledge and understanding are supported in class and, if necessary, included in further interventions both in and out of the classroom. We acknowledge that mental skills are very important in developing sound written calculation strategies. We encourage parents to support their children by working with them on counting, learning number facts and learning their times tables. Homework is set so that children can practice new skills and also apply them to solve problems and puzzles.